Our very own Mendel, back from yeshivah in Israel, will speak about his experience in the Holy Land. Also joinig us will be Marganit Ramon, a visiting Israeli who worked in the Ministry of Education in Israel, who will speak about the Israeli education system. Zebulon will be cooking a delicious Morrocon Israeli dinner! Dorit Ravid is Professor at the School of Education and the Department of Communications Disorders, Tel Aviv University. She is a linguist and psycholinguist working on Hebrew language acquisition and the development of linguistic literacy in a usage-based framework. She is interested in understanding the emergence and consolidation of the lexicon and grammar across infancy, childhood and adolescence in the context of diverse linguistic typologies and communicative settings. She finds statistical learning and Construction Grammar extremely helpful in accounting for the structural and semantic patterning found in my studies. How Jewish values make for a better investor! Peter Barry Wolk is a financial professional currently employed by Lpl Financial (which manages $94.9 Billion in assets) in Miami Beach, Florida with over 36 years of experience. Peter is registered as an Investment Advisory Representative and is authorized to give investment advice to clients. Special Shabbat Chanukah dinner at Chabad with guest speaker Gloria Abella Ballen who will speak about her new book "The Power of the Hebrew Alphabet" and have a book signing before Shabbat. The Power of the Hebrew Alphabet is a fusion between mysticism, art, and Jewish spiritual traditions. Abella Ballen leads the viewer through the maze of twenty-two letters that changed the world. The letters brought us the stories of Abraham, Moses, and the Ten Commandments. The lyrical images of Abella Ballen spread across the pages in full color filled with insight into religious truths drawn from the well of Jewish traditions. Dinner at Chabad with the Roving Rabbis! ESTHER NISENTHAL KRINITZ, along with her sister Mania, were the only members of their family, and among the few Jews in their Polish village, to survive the Holocaust. At the age of 15, Esther refused the Nazi order for the Jews to report to a nearby railroad station for relocation. She and her sister separated from their family and never saw them again. In 1977, at the age of 50, Esther Nisenthal Krinitz began creating works of fabric art to depict her stories of survival. Over a 20-year period she created a collection of 36 needlework and fabric collage pictures - Fabric of Survival - which is now a traveling exhibition . My Awesome Year in Israel! Mussi was raised in Santa Fe and after four years of High School in Chicago, spent a year studying in the Holy City of Safed (Tzfat) in Northern Israel. She is now home and will share some amazing stories and experiences from an incredible year in the Holyland! Join us for services and community dinner with Guest Speaker Israeli Attorney David T. Osborne . David Osborne, parner in Yigal Arnon & CO, advises on Mergers and Acquisitions for Israeli and international companies. His experience includes complex joint ventures, partnerships, mergers/competition law, investment and loan agreements and assisting Israeli companies in setting up suitable corporate structures for their international activities. David works with emerging growth technology companies and co-heads the Family Wealth Management practice, advising high net worth private clients in Israel and abroad, with issues regarding the management of their family wealth. He is traveling to Washington, DC to represent the Israeli govenrment in meetings regarding the above. David and his Artist wife Malka will also share the story of life in Israel, their sons in the IDF, and how they were inpsired by The Lubavitcher Rebbe. Does antisemitism color the way we see ourselves as Jews? For more about David’s work go to www.talkingbacktodrphil.com . The evening is free, and is sponsored in part by Yaszmina Nedboy in honor of her mother Sally's 20th yartzait. If, as Freud proposed, dreams and free associations are the royal roads to the unconscious, then jokes are the less noble but still useful sneaky path. Understanding how humor works. What are the benefits of humor? When does humor fail? Understanding the particular and profound Jewish connection to humor? Dr. Samuel Roll is Professor Emeriti at UNM Psychology Dept. Winnie was the official photographer to the Met for 27 years. Her photos have graced the covers and pages of books, CD’s, magazines and billboards in Times Square. Spirited Shabbat Services! Warm Community! Great Food! Kosher Tapas off the Plaza! Chief Conductor of the Santa Fe Opera and Music Director of Jeruslem Symphony Orchestra, will talk about "The Torah as my Portative Heimat (homeland)." Enjoy a delightful variety of Kosher Shabbat cuisine right off the Historic Santa Fe Plaza! Candle lighting followed by inspirational Kabbalat Shabbat services and Tapas dinner. Doña Gracia Nasi (1510–1569) was one of the wealthiest Jewish women of Renaissance Europe. She married into the eminent international banking and finance company known as the House of Mendes|Benveniste. She was the cousin and business partner of Joseph Nasi, who became a prominent figure in the politics of the Ottoman Empire. She also developed an escape network that saved hundreds of Conversos - forcibly converted Jews - from the terrors of the Inquisition. Sandra K. Toro is an award-winning, best selling author who teaches creative writing at the University of New Mexico. She writes about Jewish life and history in her book By Fire Possessed, Doña Gracia Nasi and Princes, Popes and Pirates, the latter about the life of Joseph Nasi. Toro is an officer of the Southwest Writers Association and is an active speaker on issues of writing and the representation of writers. In addition to being a writer, Toro has had a career on camera and as a producer of public affairs programs for ABC and PBS. She also served in high level government positions during the Carter and Clinton administrations. Her books are available at http://www.gaonbooks.com/Toro.html and also Amazon and other Online book sellers. For 300 years, the Jews of Frankfurt, rich and poor, were imprisoned in a narrow ghetto, surrounded by 30-foot-high walls and locked gates. The place was notorious in its time, but has been all but forgotten. With intensive research and a sparkling imagination, Santa Fe journalist and author Robert Mayer has created as his 12th book a major historical novel that brings the people of the ghetto to life in all their loves and sorrows, laughter and travails and explores how this obscene place ironically gave birth to the Rothschild family, the richest family in the history of the world. The novel is called The Origin of Sorrow. Longtime New York Times columnist Robert Lipsyte has called it "a masterpiece." Born and raised in New York City, Robert Mayer worked for ten years as a Reporter and columnist for Newsday, before moving to Santa Fe to write books and articles. His journalism has appeared in Vanity Fair, the New York Times, theWashington Post, GQ and many other national publications. In the 1990s he was editor of The Santa Fe Reporter. His books include The Dreams of Ada, Superfolks, The Execution and Sweet Salt, among others. He now teaches writing workshops in Santa Fe. Once upon a time, in the not-too-distant past, we learned about the world from our family, neighbors and spiritual leaders. Today, our stories often arrive from afar. Once, stories were told person to person. Today, many arrive electronically. How do these changes impact us as individuals, as neighbors, as community members and as spiritual beings? Jason will offer some food for thought about identity, belief and connection in the era of technological storytelling. Jason Silverman is the Cinematheque Director at the Center for Contemporary Arts, a former film and media writer for Wired and a filmmaker. He was named a 2011 Sundance Fellow for his work-in-progress SEMBENE. Regina is the daughter of a Sephardic Rabbi, born and raised in Brooklyn, NY. She was granted a scholarship to Julliard, where she met John Crosby the developer of the Santa Fe Opera; who then brought her to Santa Fe where she performed the role of Suzuki in Madame Butterfly, the first opera produced by the Santa Fe Opera, in 1957. After living in Europe for thirty years, Regina now resides here in Santa Fe. Regina will share stories of her life, and impressions of Santa Fe in the 50’s through the eyes of a 21-year-old Jewish girl from Brooklyn. Couldn’t the Greeks and the Jews Just Get Along? Yares Art Project, 123 Grant Ave. Rabbi Dov Greenberg is the executive director of the Rohr Chabad Jewish Student Center at Stanford University. He is a sought after communicator of Jewish thought and spirituality, who has lectured throughout the US, Israel, Europe and Canada. His essays on contemporary issues appear regularly in newspapers and are read by many online. He lives with his family in Palo Alto, California. My Father The Pro Baseball Pitcher! My father was born in Russia and came to this country with his family when he was seven years old in 1921. The spelling of are name was different when they came to this country. His name was Morris Jack Weiner. He finished high school and was a gifted baseball player. Back than there was not a lot of Jewish ball players so my dad was not sure if he would be able to put his talent to work. A friend told him that the Philly's were looking for ball players so he tried out and they signed him to a contract. He was on the mound and an accomplished pitcher. After playing for four years in the pro's he had to have surgery on his arm and his time as a ball player was over. He than went to work for Standard Oil and we relocated to Minnesota. While it was difficult back than for Jew's to find a way to make a living my father was blessed to have the talent to play ball. A discussion of the scientific evidenced based studies regarding the medical impact of Prayer, Spirituality and Forgiveness on patient care. Jeff is the founder of Bridges in Medicine , and market-leader in integrative healthcare. He received his medical degree from the University of Maryland School of Medicine and completed his 3-year residency in internal medicine. Board Certified and a Diplomat of the American Board of Holistic Medicine, Jeff has served as Adjunct Clinical Faculty at the University of New Mexico School of Medicine, as a member of the Catholic Healthcare Initiative, on the National Steering Committee for Complementary and Alternative Medicine, and as a reviewer on the National Institutes of Health Grand Review Panel for the precursor to the National Center for Complementary and Alternative Medicine. He is a member of the American College of Physicians, the Society of Internal Medicine, and the Greater Albuquerque Medical Association. His expertise in integrative care emerged during medical school as he studied various modalities of energy medicine, including zero balancing and therapeutic touch. Jeff expanded this expertise through work in emergency and internal medicine and through continuing education in a variety of integrative approaches to care. On the basis of these experiences, he has run emergency rooms, multi-specialty practices and an independent physician association. To balance his cutting edge work in the business of healthcare, Jeff practices holistic self-care through meditation, Japanese Shotokan karate, and music composition and performance. He applies his formal integrative healthcare training and personal experience in helping his multi-specialty practice and each patient align mind, body and spirit toward better health. Dov Gilor is a graduate of Brooklyn College, Pratt Institute of Technology and Yeshiva University Graduate School of Education. Dov worked as a Systems Engineer for IBM, Israel. As part of his Israel Army service, he served in the Army Spokesman Unit and wrote for a technical military publication. Over the years he has worked as a database consultant for NASA in Florida, MET Life and Morgan Stanley. He is the author of "SQL Performance Tuning" - by John Wiley & Sons and sections of other database books. He is as a columnist from Israel for the New York Jewish Press and also writes as a freelancer for other publications in the USA and Israel. For the past 18 years He and his wife, Barbara, live in Hashmonaim, Israel in a four-generation with his son, grand children and some great-grandchildren. He also served for several years as a voluntary police officer and as a community baseball coach. Fred will talk about spending a summer in New Mexico with the American Jewish Society for Service when he was a teenager and talk as well about his work at Think New Mexico, an independent, results-oriented think tank serving New Mexicans. independent, statewide, results oriented think tank. Think New Mexico is best known for its successful campaigns to make full-day kindergarten accessible to every child and to repeal the state’s antiquated and regressive tax on food. Think New Mexico has also led successful initiatives to create a Strategic River Reserve to protect and restore New Mexico’s rivers, redirect millions of dollars a year out of the state lottery’s excessive operating costs and into full tuition scholarships and reform title insurance to lower closing costs for homebuyers and homeowners who refinance their mortgages. Mexico's successful $1.25 billion lawsuit against the tobacco industry. As Special Counsel, Fred also worked on several successful legislative initiatives relating to drunk driving, subdivision reform, campaign finance reform and increasing the criminal penalties from misdemeanors to felonies in New Mexico’s four major environmental protection laws. Fred has served on a broad range of boards and commissions, which include the New Mexico Constitutional Revision Commission, the Governor's Blue Ribbon Tax Reform Commission, Governor Richardson Ethics Task Force and the Governor’s Budget Balancing Task Force. In addition, He is currently Chairman of the Board of the Rio Grande School, a small independent elementary school in Santa Fe and is a trustee of Williams College. Fred also served on the Board of Planned Parenthood of New Mexico for a half dozen years. He was Chair of the Arroyo Hondo Open Space Committee, which raised more than $1 million to protect 88 acres of open space in Santa Fe. Fellow. Fred lives in Santa Fe with his wife, Arlyn, and their three children. By most measures of achievement, boys are not doing well. They are not doing well compared, not only to girls, but also to how they did several decades ago in education, in health, and in the family. Paul Golding will talk about how we see this phenomenon in Santa Fe and in New Mexico. He will discuss its manifestations on several levels—in schools and in the family and in terms of the alarming absence of boys’ sense of purpose. Paul Golding has been studying this problem for several years through articles he has written for his newsletter, Santa Fe Boys ( www.santafeboys.org ) and through a masters degree in psychology at the Pacifica Graduate Institute. Education in New Mexico with over 400 in attendance in Albuquerque. Born in Santa Fe from a family who has deep roots in New Mexico, Lance will share stories about Jewish life in the City Different (Santa Fe...) many years ago. Chevra Kadisha, is the Jewish Holy Burial Society community members who have made it their task to help souls transition to the afterlife. 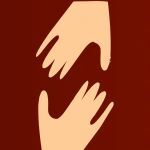 Tradition, rituals and the desire to help are the basis of the holy work of this society. This will be a glimpse into this important work which is being done in our community of Northern New Mexico. Rick Light has been involved with Chevra Kadisha since 1996 when he started the Chevra in Los Alamos, New Mexico. During the past few years he has been instrumental in the formation of the Chevra Kadisha of Northern New Mexico, which is composed of members from 6 congregations in Los Alamos and Santa Fe. 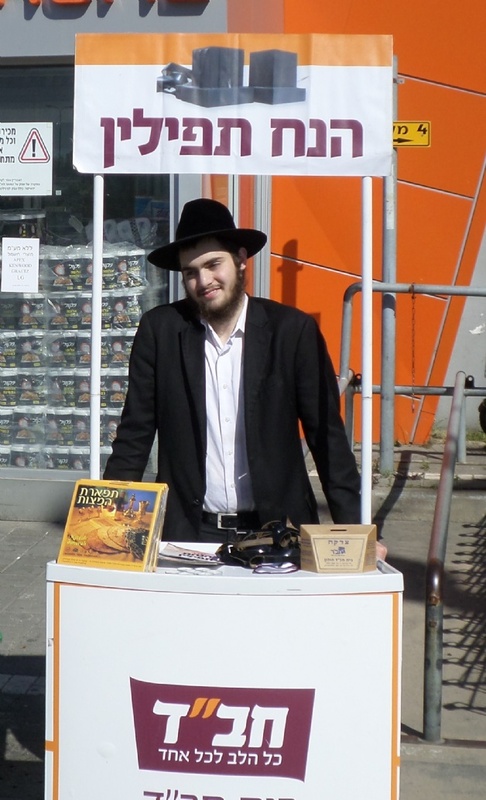 He has trained Chevra Kadisha members in how to perform Tahara procedures both locally, in Colorado, and at North American Chevra Kadisha and Jewish Cemetery Conferences. Rick has been invited to participate in these annual international conferences every year since 2006. In 2007 Rick was asked to become a member of the board of directors of the organization responsible for these conferences, Kavod v’Nichum, and is currently the Vice President of that board. After Rwanda's genocide, came hope. After Haiti's earthquake, dignity rose from the rubble. As in the day of the Maccabees, light shines through the darkest hours of history. In 1994 the African nation of Rwanda became known for a brutal, bloody Genocide. In the years that followed, a miracle of healing began to occur among women who had survived unspeakable horrors. A "Path to Peace" was found among the basket weavers in rural villages working together on the grassy greens of a thousand hills. Haiti has a history of pride and creativity. Home to the only successful slave rebellion in the Caribbean, Haiti has long been known for a culture rich in spirituality and creativity. Then came the 1980s and 90s, years of failed governments and international stigma. By the time the January 2010 earthquake leveled Port au Prince, killing hundreds of thousands and leaving millions under thin plastic sheets without septic or fresh water, security or livelihood, the nation had been reduced to an immeasurable poverty. Where despair reigned, courage returned with artisan crafts and trade. The miracle of the Channukah light is grounded in the history of impossible hopelessness. And G‑d still brings the light of hope to places of immeasurable tragedy. Susan Vorhand is a psychotherapist and mosaic artist with a PhD in clinical psychology. Incorporating Torah and spiritual insights into therapy she creates a mosaic, a synthesized model for growing and healing. She has lectured and given workshops on her soul-centered approach to psychotherapy at home and abroad. She is the author of The Mosaic Within: A Healing Alchemy of Self and Soul (Gaon Books, 2009). Ira Robinson served as three term County Chairman of the Democratic Party of Bernalillo County; as a Vice Chairman of the New Mexico Democratic Party, and on Democratic National Committee during the Clinton Administration. He also served as the DA of Bernalillo County, President ABQ school board. He served as probate judge and later as a judge on the New Mexico Court of Appeals. When award-winning international travel journalist and acclaimed speaker Judith Fein hits the road, she says there is a neon sign on her back that reads: UNUSUAL JEWISH STORY? CONTACT ME. Her brand-new book, LIFE IS A TRIP, has three tales about how being Jewish lands Judith in unusual and exotic locales and teaches her important life lessons—which she shares with her readers. The book has been endorsed by the editors of National Geographic Traveler and the Los Angeles Times. Judith will speak for the first time about the Jewish content of her book. She will also sign copies of LIFE IS A TRIP. 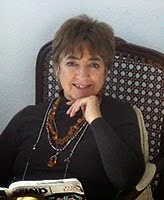 More about the book can be found at www.JudithFein.com Judith has written for more than 90 major publications. She is the travel editor of the San Diego Jewish Journal, contributes to the Jerusalem Post, Hadassah magazine, Chabad.org and Jewish newspapers around the U.S. and Canada. Dessert: lemon cake with fresh strawberries and mint. HALLEY S. FAUST, MD, MPH, MA , will speak about US and Israel relations at this time. to RSVP click here . Noah Alper is a consultant to aspiring entrepreneurs and a dynamic motivational speaker. His experience includes concept creation, marketing, retailing, food service and sales management. In his new book, he weaves together Jewish ethical teachings and over 35 years of business and non-profit management experience. Six and a half years after founding Noah’s New York Bagels, he sold the business for $100 million. At that time, it was the largest Kosher retailer in the United States. He is also the founder of six other ventures, including the grocery store company, Bread & Circus, once the Northeast’s largest natural foods chain and now part of Whole Foods Market. Noah has been a guest speaker at Haas School of Business at the University of California, Berkeley; Kellogg School of Management at Northwestern University; University of Wisconsin School of Business; as well as many national and local business and community groups. He is also a student advisor at the Graduate School of Business at Stanford University. Noah has been very involved in the Jewish community in the Bay Area. He was the founding president of the Jewish Community High School of the Bay, which is now in its ninth year, and he is still a member of that Board. He is vice-president of Congregation Beth Israel in Berkeley, CA, and has been a member of the board of the Jewish Community Foundation. He graduated from the University of Wisconsin with a BA in Economics, and in 1997, he fulfilled a dream of living in Israel and attended the Pardes Institute in Jerusalem. He grew up in Brookline, Massachusetts, and currently lives in Berkeley, California. Birthday Celebration for Deva Martin and Cirel Levertov! Casablanca is more than a movie, it is home for most of the 4,000 Jews of Morocco. This is one of the few Sephardic communities that is vital and functioning in its homeland. Jews have been there for an estimated 2,000 years and the traditions are deeply rooted. Ron was in Morocco with his wife Gloria Abella Ballen in October and November for the birth of the first grandchild (David) to their daughter, Vanessa Paloma and Maurice Elbaz. Ron was the sandek for the brit and later participated in the Pidyan Haben for this first-born son. Jewish life in Morocco centers around the extended family, community and the synagogue (esnoga), and morning minyan and mincha services are a normal part of daily activities. There are Jewish schools and clubs, kosher bakeries and restaurants, and houses are commonly kosher. The other grandparents, David and Margot Elbaz, incorporated us into their lives to experience how Jewishness permeates everyday life in that world. Ron Duncan Hart has a Ph.D. in cultural anthropology (Indiana University) with postdoctoral work in Jewish Studies at Oxford University. He specializes in multi-cultural issues and Jewish communities. He is a former Dean of Academic Affairs, author of eight books and worked in Latin America for twenty years with UNICEF, the Ford Foundation and other international agencies. He has received awards to support his work from the National Endowment for the Humanities, National Endowment for the Arts, the National Science Foundation, Fulbright and others. He is Editor of Gaon Books. Brazilian born, French citizen, married to an American – She is your ultimate globetrotter. She has lived most of her life in São Paulo – the crazy, impossible, lovely 17-million-people metropolis, but travelled extensively around Brazil in search of sanity. After concluding my studies (Biology and Journalism) at Universidade de São Paulo, she worked for several media projects -daily papers Folha de S. Paulo and Gazeta Mercantil, and Veja weekly magazine – and non-profit organizations – such as Instituto Socioambiental, Instituto Akatu and Greenpeace. She also worked with former congressman Fabio Feldmann, an outspoken environmentalist, and several Brazilian corporations, namely Banco Real (Santander Group). During my two-year-period living in Paris, in the nineties, she worked for Radio France Internationale. Since 2004 she has lived in Santa Fe, New Mexico, USA. She authored or co-authored several books on Environmental issues – all of them published in Portuguese. She was also honored by the 2002 Reuters-IUCN Press award for Latin America and by the 2004 Prêmio Ethos. a perspective on Jewish immigration to Mexico in the twentieth century and the formation of the Mexican Jewish community. Daniel Goldberg, Goldberg Lerner Productions Born and raised in Mexico City, Daniel is a graduate of the USC School of Cinema-Television. His documentary films include Halcyon, a visual poem about the art of diving starring Greg Louganis, March of the Living, following the voyage of a group of Mexican Jewish youths to the concentration camps of Poland, A Kiss to This Land, exploring the subject of Jewish immigration to Mexico in the 1920's and 1930's, Steps to Eternity, about the struggle of an elderly man in failing health to get to synagogue, and In the Footsteps of Abraham, about the spiritual journey of three men from Veracruz in their quest to convert to Judaism and pursue their religious and personal fulfillment in the Holy Land. Anti-Israel ideology on American university campuses and what can be done about it. Weaving Peace: The inspiring story. Modeling reconciliation and coexistence in an historic way. , Founder, Rwanda Path to Peace Project. Fiddler on the Roof Purim Celebration and Dinner at Eldorado Hotel! Purim! at the Eldorado Hotel $20. Children $10. Larry Goldstone, CEO, Thornburg Mortgage. Rivka Goldman, Author: Mama Nazima's Jewish-Iraqi Cuisine: Cuisine, History, Cultural References, and Survival Stories of the Jewish-Iraqi. Annual Shavuot dairy dinner and reading of the Ten Commandments.